Iraq veteran Cal Winter, cashiered from the British army for assault, has a secret. It leads to his blackmail, and employment as an assassin for an organisation known only as ‘The Firm.’ Only five years more service doing deniable wet-work will see him walk away free. In the middle of an unnaturally harsh London winter, Cal is assigned to protect Russian oligarch Sergei Belov, a billionaire dissident who made his name whistle-blowing on the cover-up of a nuclear accident in the 1990s. Now Sergei is the patron of a South African internet crusader, Van Basten, who has access to classified Russian intelligence which he intends to leak on the internet. And in this case, ‘protection’ means assassinating an elite Russian FSB commando team using a criminal network for cover. As attempts are made on Belov’s life, Winter and his rag-tag team of ex-veterans uncover a plot hatched in the darkest recesses of the deadly Russian intelligence machine, and a dark secret from the dying days of Communism. There are many who wish Sergei Belov dead, and the body count rises as The Firm are drawn into violent action on the streets of London and in the icy English countryside. 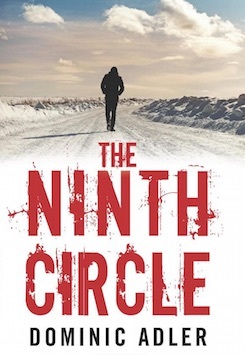 From the Ukraine, to London to Central Russia, it would seem that intelligence agencies of every stripe will stop at nothing to access the information Belov has uncovered, leading to a bloody, horrific end-game for Cal Winter.